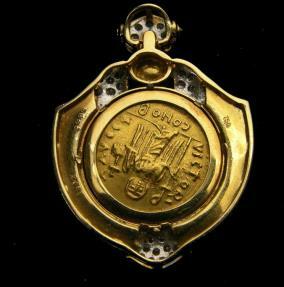 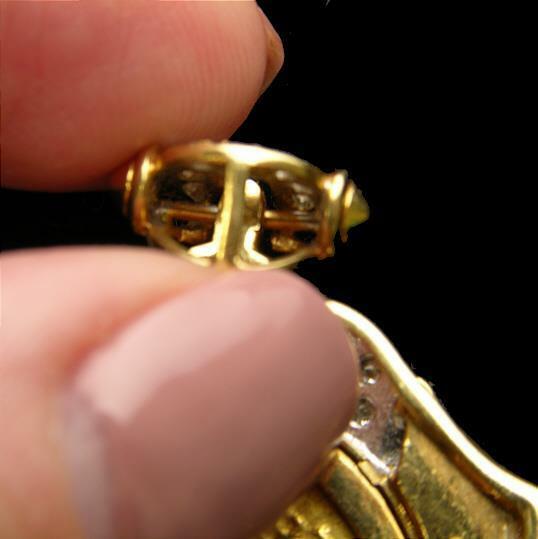 A beautifully hand crafted pendant that contains a Gold Byzantine Solidus minted during the reign of Emperor Phocas from 602 to 610 A.D. 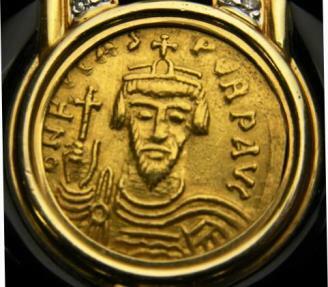 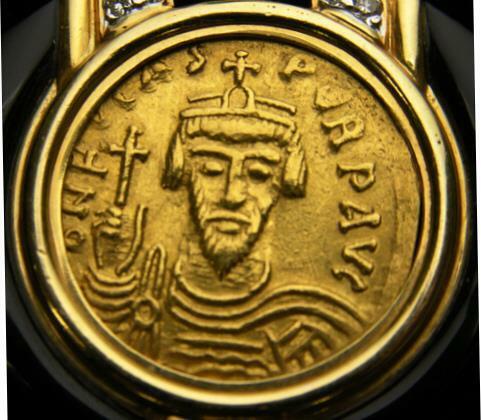 The obverse shows an extremely fine portrait of the Emperor holding the cross. 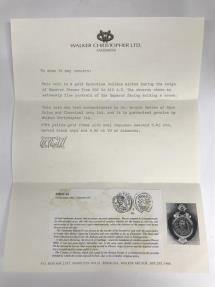 This coin has been authenticated by Dr. Arnold Saslow of Rare Coins and Classical Arts Ltd. and it is guaranteed genuine by Walker Christopher Ltd. (Certificate of Authenticity is included). 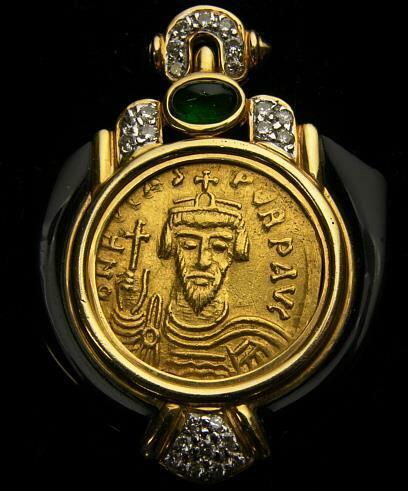 The frame of the pendant is 18kt yellow gold with 0.45 carats of oval Cabochon emerald, carved black onyx and 0.42 carats Total Weight of diamonds.